Half-term breaks. You know them, you loathe them. I feel like I am in a constant state of total panic on how I am going to entertain my kids on these school breaks that seem to pop up almost every other month. It’s impossible to travel every single school break, which means it’s always important to plan a trip that you’re going to love as much as your children will. In my state of panic for this past May half-term break I had one girlfriend mention Marrakech. “Guaranteed sun”, she said “Kids club” she said. “Where do I sign up?” I said. 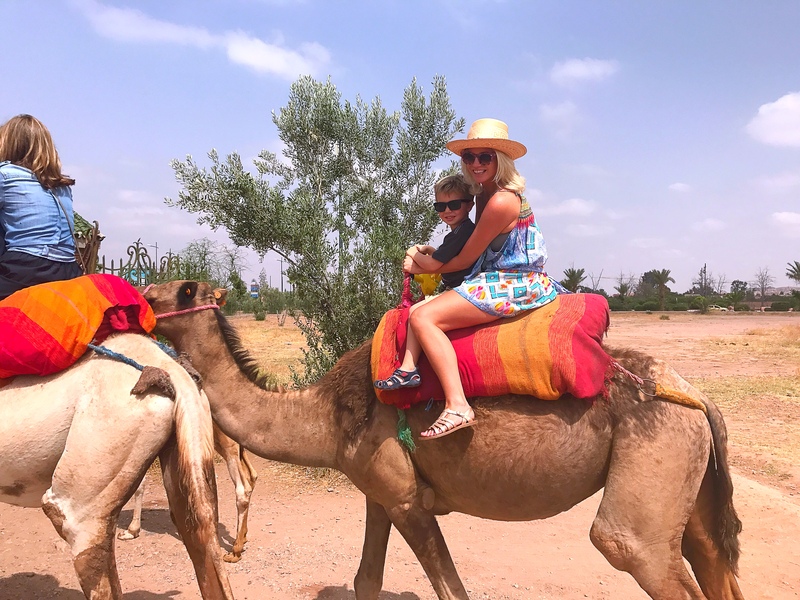 Having been to Marrakesh before without children, I was curious to see if the kids would enjoy it and wondered where we would stay. 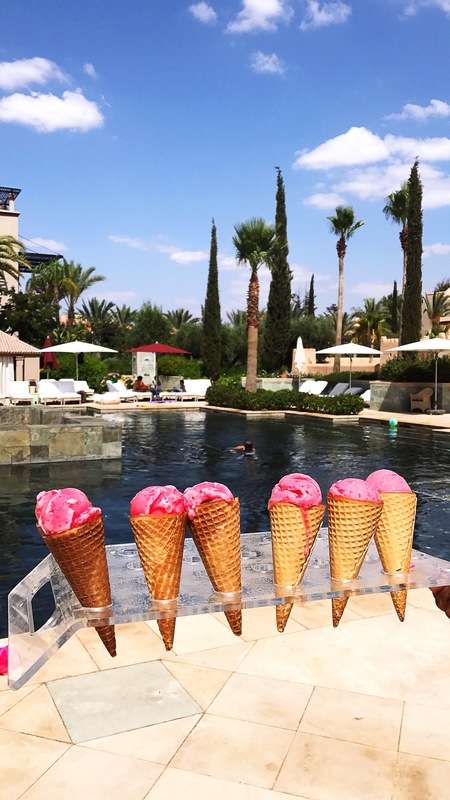 Turns out, the Four Seasons Marrakech has become somewhat famous in my outer circle of friends and upon chatting to more an more people I heard nothing but great things from other families about this hotel, so it ended up being an easy decision. 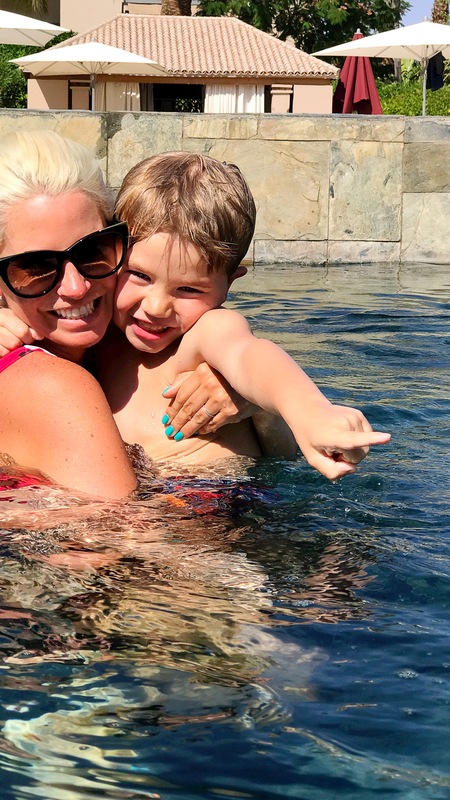 After 5 gorgeous days I can say the Four Seasons Marrakech completely exceeded my expectations when it came down to a family-friendly holiday. 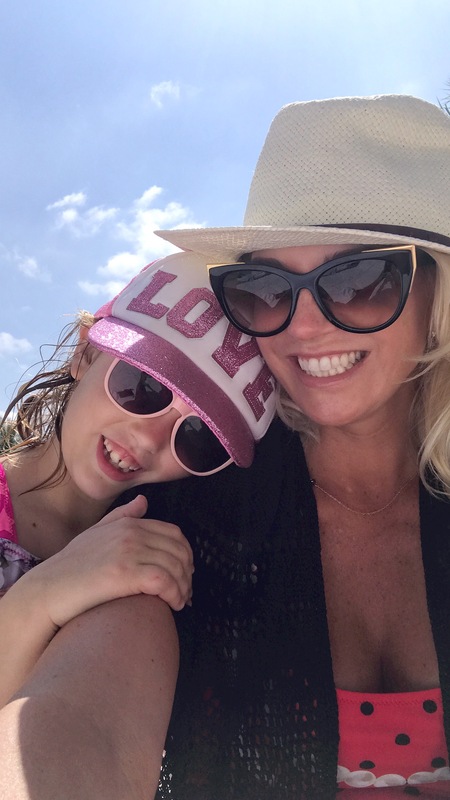 I made some lifetime memories with my children and came back with a great tan, and feeling totally relaxed. Mini-AG begged me to print photos of our trip (something she has only ever done when we went on the Disney Magic) so that she could show her classmates. Without further adieu, I give you my top 10 reasons for why you should book this hotel for your next half-term break with your children. 1. Flight Time. Okay so this is not specific to the Four Seasons but it is specific to Marrakech. Three hours ladies. Three quick hours on an airplane and you arrive in the heat. While you obviously can’t guarantee the weather anywhere if you head to Marrakech in the Spring and early Summer you’re pretty much guaranteed 80 degree + weather, which is exactly what we got. And unlike Dubai and the Middle East, it only takes three hours to get there. 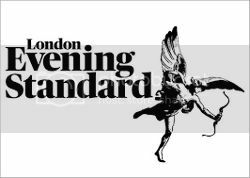 Further to the convenience factor, and a TOP TIP, the Four Seasons will book an immigration attendant to meet you after you disembark the aircraft. Our lady took us straight through the immigration line (which was helpful with 7 children in our group! ), helped with our bags, and made sure the arrival process was seamless. The hotel is only a 10 minute drive from the airport so getting there was a total breeze. 2. Room Configurations. Connecting rooms are a mother’s best friend. If you’re going with your significant other it gives you space from your children. In our case, we had a connecting room with one of my girlfriends and her brood. It meant the kids could run back and forth and be with their buddies. We could sit out on our balcony and enjoy a glass of wine while the kid’s watched the Disney channel. When the children went to bed we could still stay up and chat in one of the two rooms that the children weren’t sleeping in. The connecting rooms was one of the highlights of why the holiday worked so well for us so if you are traveling with another adult, I would highly recommend requesting these rooms. 3. The Kids Pool. 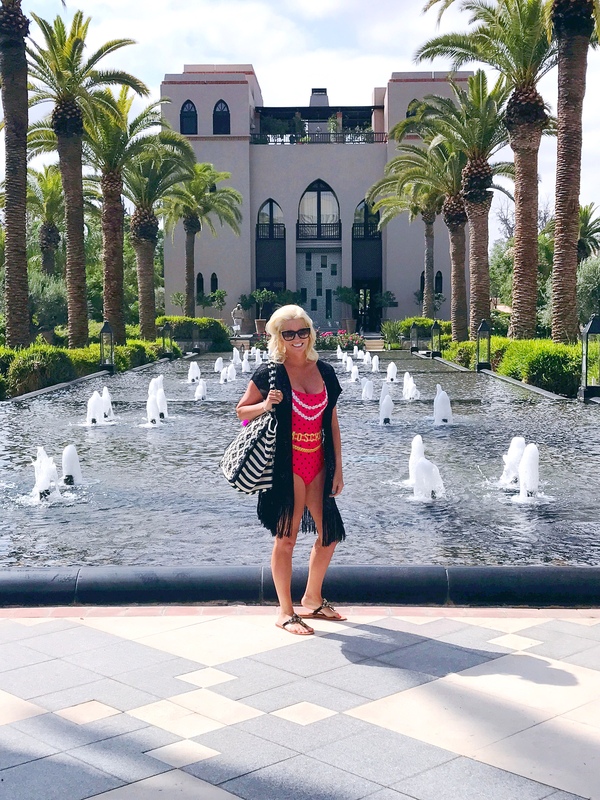 The Four Seasons Marrakech has one of the best kid’s pools I have ever seen and I will tell you why. I have a five and seven year old. The seven year old swims like a fish and the five year old is still not super confident in the water. The kid’s pool has three different sections, one for the real swimmers and a wading type pool (which is kept super warm) in the middle. This made a huge difference to us moms with little and big kids. The big kids were in heaven jumping in and out of the pool and swimming all around and the little kids were happy playing games in the centre wading pool. It meant the moms could totally relax and chat without having one set of kids complain about wanting to go to a different pool. Genius. 4. The Adult Pool. If you put your kids in the kids club (just wait I am getting to that bit) then there’s an entire pool for adults only. If you don’t want to listen to the screeching of children and prefer complete serenity you have the option. Your kids are happy and having fun while you are taking a poolside nap or enjoying a glass or rosé with your friends. 5. The Kids Club. 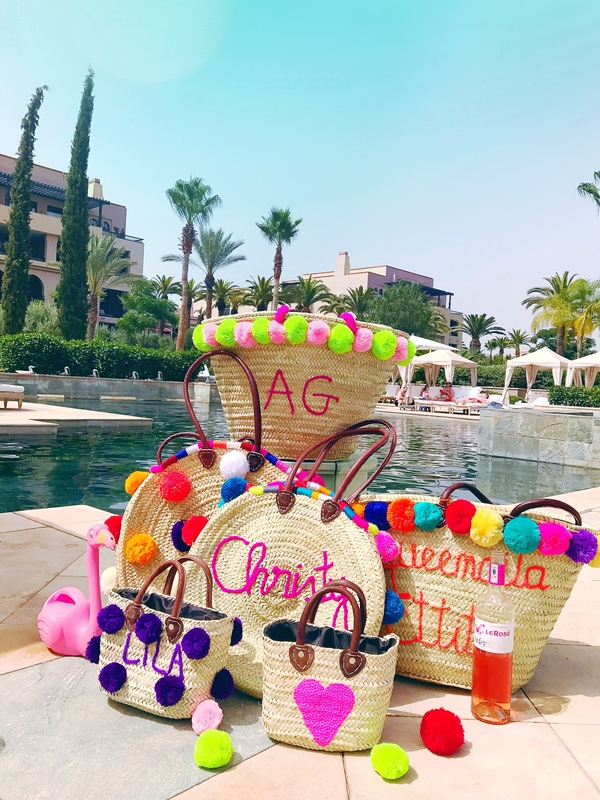 I’ve seen my fair share of kid’s clubs since Mini-AG was born and I have never seen anything like the one at the Four Seasons Marrakech. From age 4 you can drop of your child from 9am to 4pm for them to enjoy a wealth of activities. The kid’s club is MASSIVE. There’s a movie room, a coloring area, a soft play area for the list ones, a kitchen, multiple outdoor play areas for sports and activities, a stage for talent shows and much more. Each day is themed and you are given a schedule of activities for the day. We tended to drop the children in the kid’s club after breakfast until 11am when they would come out to swim with the kid’s club staff and lifeguards. The kids would go back to the club for lunch so the mommies could enjoy a lunch in one of the three restaurants. After that we would spend the afternoon at the kid’s pool where the everyone could swim in their respective area. Everybody wins. 6. The Kid’s Club Staff. The facilities at the kids club were extraordinary but the real reason the kids wanted to go (and stay) in the club was definitely down to the staff. On our first day a little boy and his sister ran into the club and jumped into one of the carer’s arms. They had been on holiday there the pervious year and they were so excited to get back to the kid’s club and the ladies that worked there. For this family it felt like coming home, and I understand why. 7. All the Other Staff. This is a special shoutout to the lifeguards (there were always multiple on duty) who would spend time not only watching the children but making up pool games to play with them. An additional shoutout to the sweet pool waitstaff who brought us milkshakes or ice cream each afternoon and made sure the mom’s always had a cold cocktail nearby. 8. Kid’s Menu. As much as I would like to sit here and tell you that my children are adventurous eaters, they aren’t. Having a kid’s menu that ticked the plain pasta and chicken nuggets boxes was a huge blessing. Go ahead and judge me but I definitely felt a wave of panic when I thought about fighting to get them to eat beef tagine. For breakfast there was an incredible buffet (again go ahead and judge) where the kids could have a number of options including nutella covered croissants. I on the other hand was able to experiment a bit with the moroccan cuisine during the evening dinner buffet which had dozens of Moroccan specialities. Again, everybody wins. 10. Excursions. 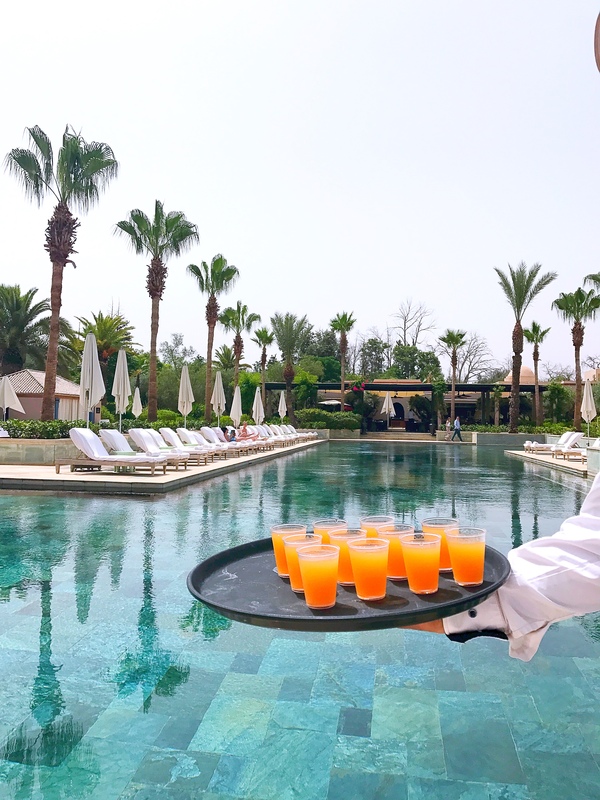 The Four Seasons will work directly with you on creating a day out (or multiple days out if you wish) in Marrakech. Our group wanted to take the kids on a camel ride and a walk through the souks all in one morning and the concierge team made it happen for us. Our guide was absolutely incredible and took us for the perfect day out. We started the day with our camel ride, which was conveniently located near to the hotel, and it was a moment with Mini-AB I will never forget. There were four moms and seven kids so making everyone happy, especially when walking through the souks, could potentially have been a nightmare but it was incredibly well organized. Our guide even called in for back-up when we got to the market place so that one guide could walk behind our group and one in front. We told him that we wanted to find personalized straw beach bags (pictured above) and he brought us to THE BEST place. Some of the moms wanted Moroccan football jerseys and he took us to the stall with the authentic kits. He also took the kids to see the snake charmers and monkeys which was a highlight for them. So there you have it, a once in a lifetime trip that we want to repeat with Daddy. 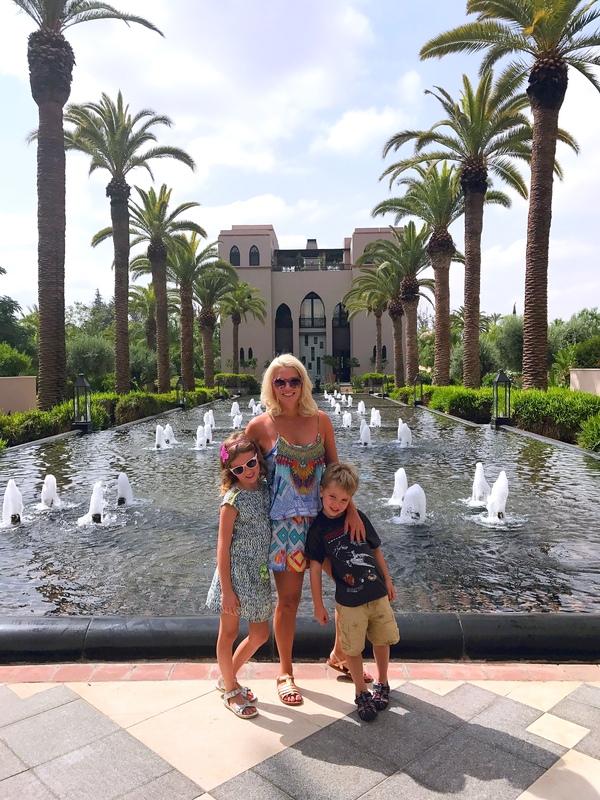 Seriously, I could not recommend the Four Seasons Marrakech highly enough for a family-friendly get away. Four Seasons Marrakech, Avenue de la Ménara, Marrakech, Morocco.